Playing games to add more spice to your relationship is a good thing. The Creative Kisses Adult Game from Kheper Games can help you do that, and more. 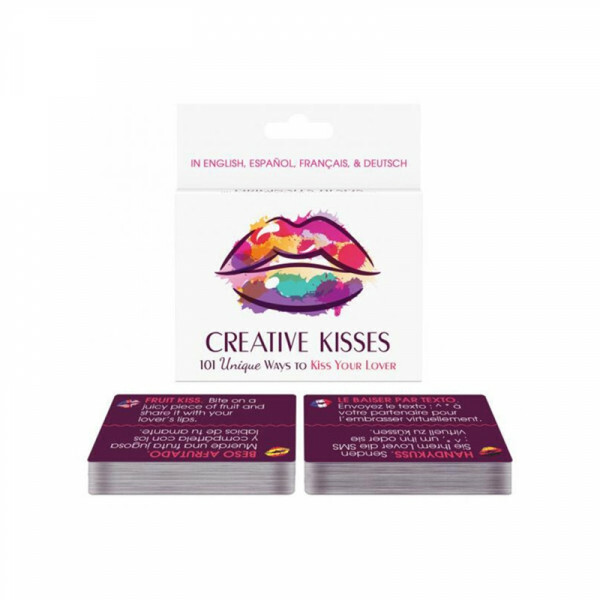 The Creative Kisses Adult Game is made up of cards, with each card offering a kiss, and each kiss being unique. As you share those kisses with your partner, it is likely that you will encounter sensations that are interesting, like a warm cold kiss or something even more strange. This game makes for a great and fun romantic gift.